Nicola LeFanu talks about her research and publications about the neglect of female composers. With A Penny for a Song, Invisible Places and The Story of Mary O'Neill (excerpt). 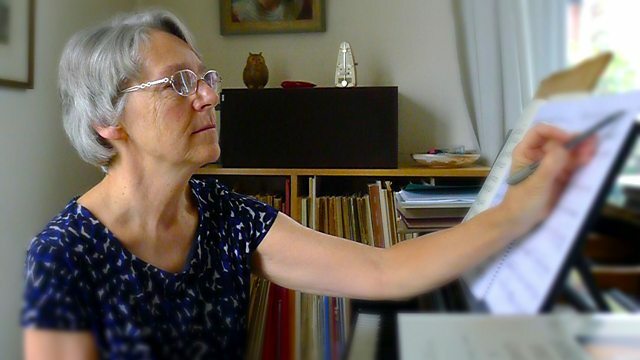 By the mid-1980s Nicola LeFanu was busy working on another opera, this time a commission from BBC Radio 3. 'The Story of Mary O'Neill' is a work specifically for the radio and is about the fortunes of an Irishwoman who emigrates to South America. As LeFanu's career in the UK went from strength to strength, she researched and published an article called 'Master Musician: An Impregnable Taboo'. This article provided details and statistics demonstrating that the work of women composers were being neglected at that time. Her research received a lot of attention, and in 1987 LeFanu also became a founding member of Women in Music. One year later, LeFanu composed her 'Lament', to mark two significant anniversaries: firstly it was the year when Nelson Mandela turned seventy, but was still in prison; secondly, 1988 was also the year in which Australia celebrated its bicentennial marking the arrival of British settlers. Choir: BBC Singers. Conductor: John Poole. Singer: Sarah Leonard. Orchestra: BBC Scottish S O. Conductor: Odaline de la Martinez. Performer: Kate Romano. Performer: Lucy Wakeford. Louis Couperin: Suites For Harpsichord, Christopher Hogwood.